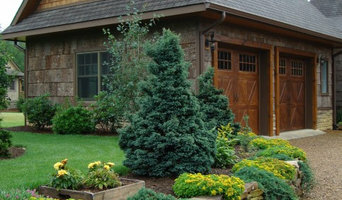 Mountain Craft Builders, Inc. has been servicing the High Country since 1998. We specialize in custom built homes, additions and renovations, featuring superb craftsmanship while maintaining a professional relationship with homeowners. We know your home is important to you and it's our job to be sure you are completely satisfied while building it! Whether you are looking to build your dream home, add on, or remodel your existing home, Our experienced team of professionals are here to make your project as seamless as possible. We can take your project from clearing the lot, all the way to the final detail. The architects at Reedy and Sykes want to help you succeed not only in designing the structure you think you need, but in achieving the emotional response that you imagined having when you developed the idea for a particular project. We consider function and quality of materials and form, and actual planned usage of space. This is much headier than mere discussion of walls and windows placement, and the results are exciting opportunities to let you prioritize what is truly important to you and your mission. Reedy and Sykes Architecture and Design believes every building it designs should exhibit exceptional performance, durability, beauty, and sustainability in design and construction. Although the program dictates the extent to which this ideal is practicable, this is the high standard set for every project. The architects at Reedy and Sykes assume that the customer desires these same qualities in their finished product as well as a good return on investment; and value added for design and support services throughout all phases of construction. The client/designer relationship hinges on effective communication, and Reedy and Sykes architects begin each project listening carefully to what you say you want your building to be and do. 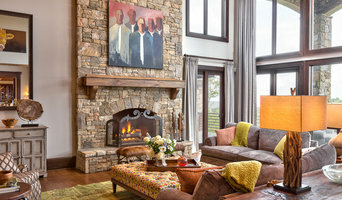 FOUR TIME AWARD WINNER OF BEST OF HOUZZ! 4 Forty Four is a Custom Building Firm for residential & commercial projects. We take our job, as stewards of this community that we live in seriously. Our intent is to reach beyond traditional business models to actively and responsibly engage our community. We understand that home building engages the financial, intellectual, and emotional aspects of decision-making and we work hard to define and meet holistic expectations. We are comfortable when our clients are comfortable. When you "Live in Your Dream", you have helped us to live in ours. Check out the link to our Vimeo page where you can hear more from our business about how we strive daily to go beyond expectation and pave the way for changes in our industry. The link is located on the left side of our profile next to Facebook and Twitter. Lost Ridge Construction's primary focus is excellent customer service and a close second is quality craftsmanship. We provide our service with a high regard for communication and honesty from start to finish. Our motto is "Built to Last" and that goes for the work we complete and the relationships we make along the way. With over 18 years of experience, Martindale CC is a located in Yancey county is a locally owned. We pride ourselves in taking any job big or small and treat small jobs as if they were big jobs. We understand how important communication is and trust in making every client happy! Please call us today and let us help you realize your goals from design to completion. In the construction industry, there's only one way to create a strong, long-lasting business. That's by giving every client our best customer service and craftsmanship. Over the years, Cooke Construction and Services, LLC has earned a reputation for providing superior construction services in the Johnson City, and Kingsport TN area. Experience our excellent customer service firsthand by calling 423-791-5739 now. Senior Vice President of Interior Designer with Dianne Davant & Associates. Mountain Construction makes your mountain home dream into an affordable reality. Licensed in North Carolina and Tennessee, we provide a full range of custom planning and building services to meet your personal needs, including land and site planning, home design, custom building, and remodeling services. 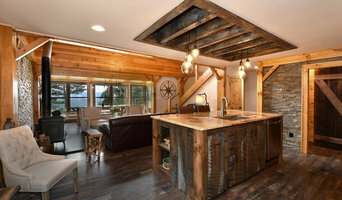 With 30 years of experience and crews of highly qualified craftsmen, we are known in the High Country for our creative log and timber frame homes, conventional-framed homes, and structural insulated panel (SIP) homes as well as inspired remodeling, restorations, and addition projects. As NAHB Certified Green Professionals, we have specialized skills to make your home environmentally friendly and energy efficient. We also work with your architect or recommend well-respected local architects to develop your custom plans. Browse our site, see our creative design ideas, and contact us to discuss how we can help build your mountain dream home. More than thirty years of work experience has resulted in a wide variety of projects in our portfolio. We have extensive experience in multiple construction and design methods, including solar design, alternative energy use, building-biology (baubiologie) and ecology, Healthy Built Homes of NC and Energy Star Certification programs. Besides standard construction methods we have extensive experience with alternatives like timber and log construction, Durisol, AAC, SIP panels, ICF, straw bale, monolithic and geodesic dome design. Our architectural work is mostly custom residential and residential community-related design; retreat centers, spa and healing centers, occasional commercial projects, cottages and smaller homes, as well as custom additions and remodeling. Through the use of computer technology we can provide you with 3-D images or we can create models, renderings and presentation material of the projects. Integrated Design means that we find the optimal solutions, design and building methods for your site and for your personal needs and budget. Besides the use of healthy building materials and energy efficient design, we also emphasize the experience of the home as a whole, as if we were designing spaces with “soul”. For this, we use our knowledge of classical Chinese Feng Shui and Sacred Geometry. Sole proprietor specializing in space efficient, energy efficient, and modern homes to fit your lot, your style and your budget. Mark Freeman has been a leader in the Design and Construction industry for over 30 years. Our Commitment to the success of our Clients and our Community is and has been the seeds we sow for our success. Designing solutions for you life influence the ability to live with happiness and contentment. We can design to inspire, retire, rest, rehabilitate, rejuvenate, protect and create for your desires. Call us today to get started on your next project! Rothe Architecture is a multi-discipline architecture and design firm in Northeast Tennessee. Uwe Rothe is an award winning architect with 40 years of experience. Rothe Architecture has a deep commitment to architecture that achieves an honesty of place, history, culture, and craft.